Lack of skills and knowledge is the focus of this eighth post of our special series on the key challenges preventing tourism businesses and destinations from becoming more sustainable. In our interviews with tourism and sustainability professionals we often include a question about which they consider the main challenges regarding tourism sustainability. Among the many (and very diverse) answers so far, we’ve identified 10 themes and areas of concern. Skills shortage and knowledge gaps is one of them. When advising your government colleagues and the private sector on implementing sustainable tourism strategies, what main challenges have you encountered? As President of Spirit of Japan Travel in Kyoto, which aspect of running a responsible tour operator do you find most challenging? In your experience, what is the biggest challenge faced when developing community-based cultural tourism (CBT) products? As a Teacher and Trainer at the Lao National Institute of Tourism and Hospitality (Lanith), which aspects of teaching sustainability to your students do you find the most challenging? 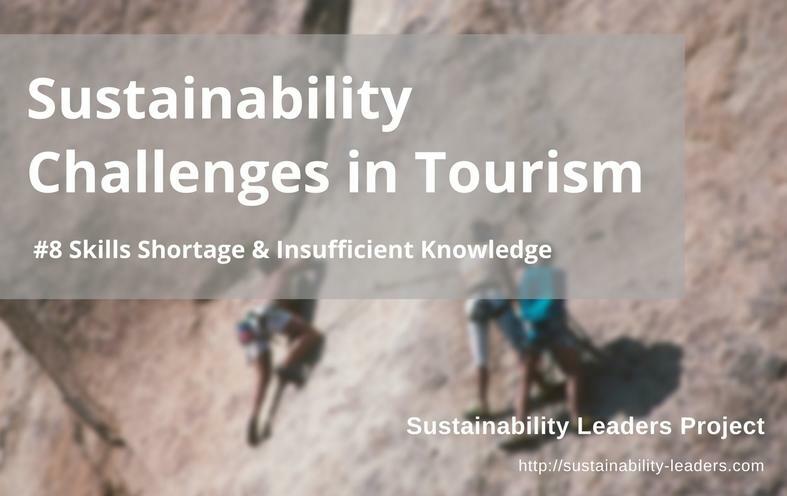 Enjoyed this snapshot of expert views on why lack of skills and knowledge constitute a key sustainability challenge for tourism businesses and destinations? Share and spread the word!